This time-honored tradition in Castle Rock is one you don't wanna miss! 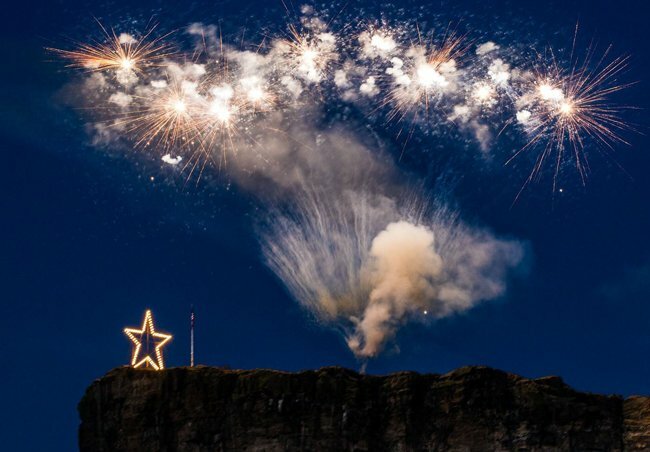 A tradition that started in 1936, the Castle Rock Starlighting ceremony, or "Lighting of the Star," is an annual event that brings the community together to watch as the famous star atop The Rock is illuminated above the city, kicking off the holiday season. Brought to the public by the Castle Rock Chamber of Commerce, this year's festivities will be held on Saturday, November 17. Come to downtown Castle Rock and celebrate with your neighbors and community with hot chocolate, nonprofit booths, live music, and so much more. Oh, and the big man in red himself will be in attendance, too -- that's right, Santa's coming! The Castle Rock Starlighting ceremony will begin promptly at 5 p.m., so make sure you plan accordingly. Also, take a look at the schedule to plan out your night! Have you attended the Castle Rock Starlighting ceremony in years past? Share your photos and videos with us in the comments below, and let us know what traditions your family does to get the holiday season started. 4 Colorado winter activities to do if you're not a skier.